Be proud of who you are with a rainbow of mini Velour Liquid Lipsticks, including exclusive shade Equality. Perfect for travel, these pint-sized tubes glide on smoothly, leaving behind bold, full-coverage color that dries to a comfortable and completely matte finish. Proceeds from each limited edition Mini Rainbow Bundle benefit the Los Angeles LGBT Center to support LGBTQ+ youth in need. I love this collection so much. The colors are very opaque. I love using them for my brows and lips. It's amazing, I love it, and it's totally worth the price! I would buy again! 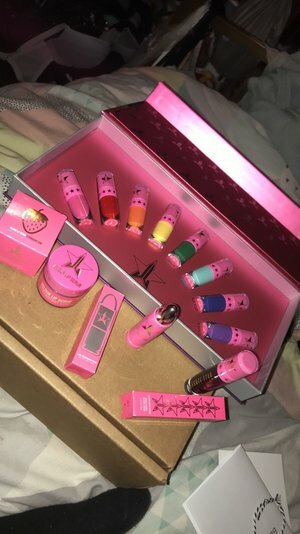 I always buy from Jeffree Star, Jeffree always puts out QUALITY products and they last long! Beautylish also sent my package on time and everything intact! 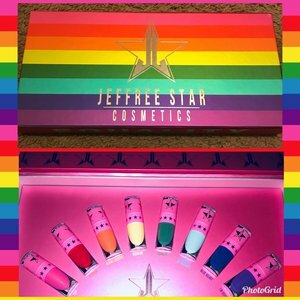 I would give Jeffree Star & Beautylish 1000000000000000/ 10 stars! I have the other 2, and they look like high guality books. I love buying cosmetics for a cause!! 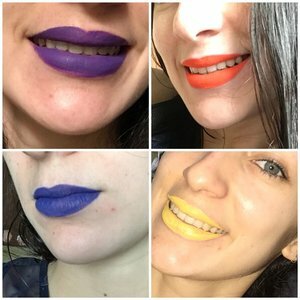 Ty Beautylish for making it all so easy!! I finally get my blue velvet! Absolutely love this formula and don’t disregard these colors they’re cruelty free and vegan you can totally use them as eyeshadow/eyeliner! 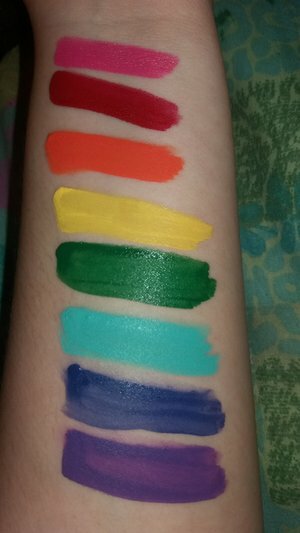 Pigmented and creamy and dries down to perfection! 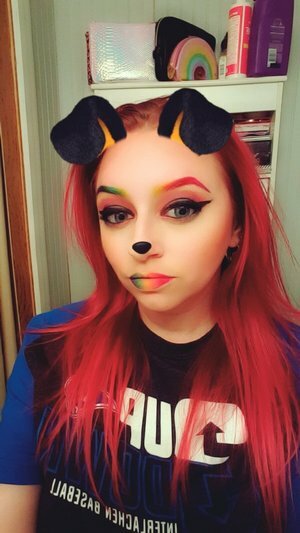 Thank you for donating to such an amazing cause and thank you Beautylish for making my purchase so easy! Can’t wait to grab the Thirsty collection!! I love these colors. Jeffree star makes the best lipsticks hands down. I can't wait to get more. Absolutely love my set. So gorgeous. Can’t wait to create loads of amazing looks with it!!! 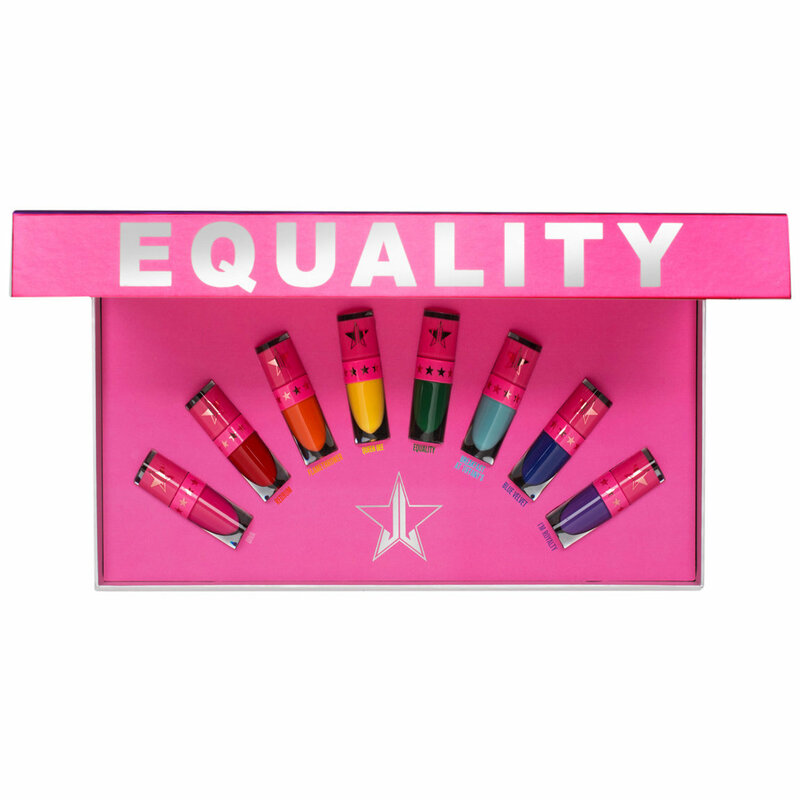 I can’t believe how quick I got my Jeffree Star Equality minis! I am so in love with them! They are not only beautiful, they are the perfect size for me. 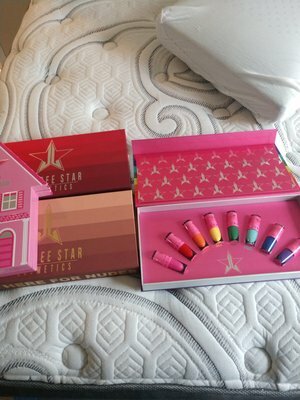 I collect Jeffree Star cosmetics and I always buy from Beautylish. They are fast and have the best customer service. Every company should learn from them.